Description: Advanced Modem Data Logger uses RS232, USB, PCI or GSM modems to dial and collect a data from remote devices to disk or to other targets. The program can use both AT and TAPI interfaces and aquisite the data from several devices simultaneously. Advanced Mode Data Logger: an all-in-one solution for data aquisition and monitoring at an affordable price! 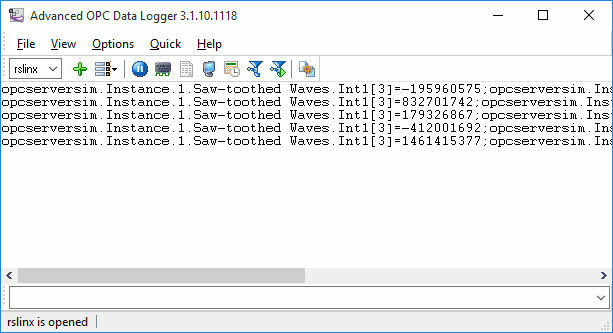 Description: No need to expend years creating your own NMEA data acquisition software - NMEA Data Logger is here to help! The program collects NMEA sentences from any talker or instrument in real time, sends and receives NMEA bytes across RS232. Parse your dataflow the way you want with a built-in parser and transfer it to Excel or database. It will always be there capturing your data, receiving every character. Good functionality at an affordable price! 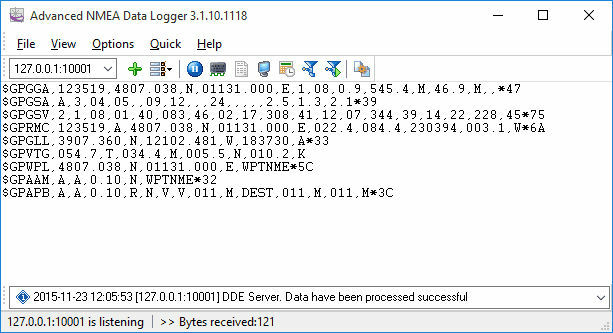 Description: Advanced OPC Data Logger interacts with OPC servers, combines and writes real-time data to files, MS Excel, SQL Server, mSQL, ODBC database or to other targets. The program can be integrated to a suitable industrial system and work together with your SCADA. Advanced OPC Data Logger: an all-in-one solution for OPC data collecting and monitoring at an acceptable worth!